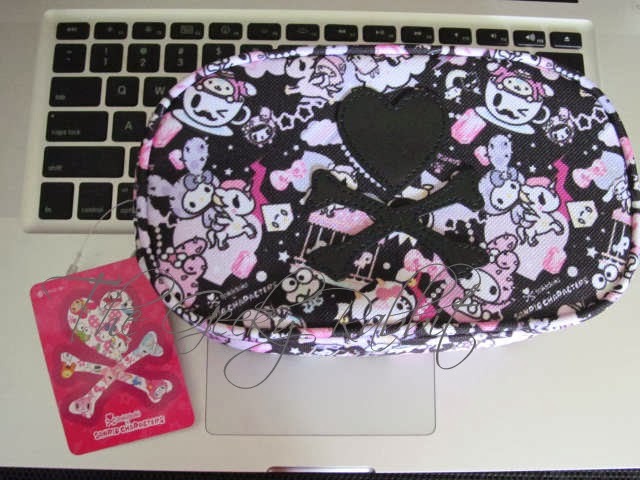 This holiday season has been a real treat for me, as I am a huge fan of Sanrio and Tokidoki! 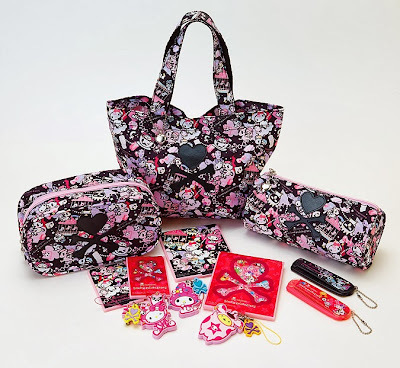 Besides the series of goodies released by Sanrio USA shown here and here, there is another series of products exclusively available in Japan. I managed to get some of the items, and here is a peek of what the print is like! This print is kinda different from the USA release, as it features a black background. The characters are also not in full color- instead, the print is in a theme of purple and pinks. 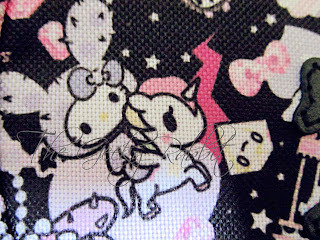 Here's a look at some characters- Moofia Hello Kitty and Cactus Hello Kitty riding a Unicorno! There's also Keropi, Purin, Twin Stars, Melody and Maru spotted. The material of the cosmetic pouch is made of canvas. I don't think it is coated as it is quite rough, and does not have a waxy feel to it. The USA tag features a removable and reusable sticker, but for this tag is is a regular paper tag. Very cute and very pink! 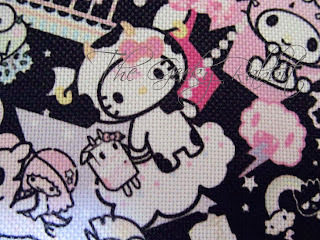 You can spot many of the popular Tokidoki friends and also Hello Kitty on the same Unicorno as in the print on the fabric. There is a plushie for this cactus Hello Kitty in the US release of the collection. The Sanrio Japan website has posted several pictures of the items, and this is an overview (photo credits to Sanrio Japan). I managed to score several items in the collection as an early Christmas treat for myself. The little trinkets make awesome stocking stuffers too. This series reminds me of the Hello Kitty x Tokidoki collection from Holiday 2012- lots of black and pink. 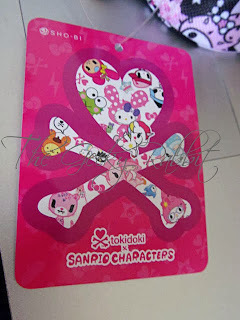 However, it's an added bonus to have the other Sanrio Characters featured in the collection! Many of the products are sold out already (they were previously available at the tokidoki website, as well as the Sanrio webs store).